When changing signals to led's you create less of a load on the stock flasher relay and you will get "hyper flash" where the signals flash much faster than normal. This flasher relay will correct this and return your flash rate back to normal. Plug n Play on a number of motorcycles. These can also be hardwired in for those bikes that do not have the same plug as shown. Electronic LED Flashers for Motorcycle have no minimum load-12VDC. Eliminates the need for load resistors, turn signals will flash at normal rate with or without LED bulbs. Price for each. 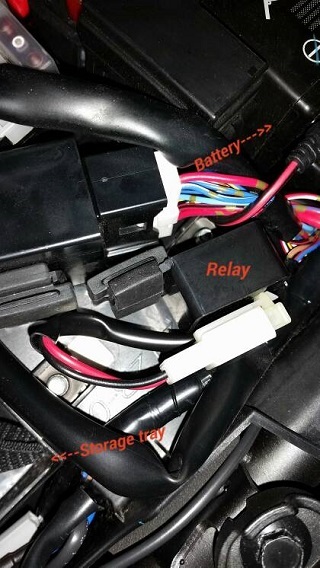 07-14 600rr flasher relay location is under the driver seat next to fuse box. FZ09 location shown here installed.